Hello friends! 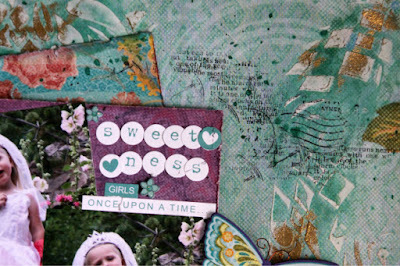 Debbie with you today sharing a layout that I created using Rebecca's Baer's Medium Jamboree Stencil. The patterns on this stencil are full of festive cheer this stencil can lend an air of celebration to any occasion or season and best of all they are designed and manufactured in the USA. They come in 3 different sizes and can be used on an array of different surfaces. 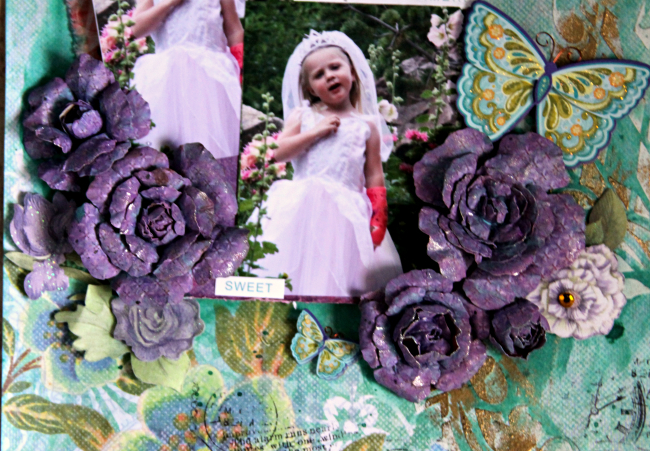 The layout I'm sharing is one of my my favorites as it features one of my sweet grand daughters pretending to be a Princess Bride. To begin this layout you will need to create a background using modeling paste and Rebecca's Baer's Medium Jamboree Stencil. The next step is to give your stenciling a little pop with Versa Mark and embossing powder. Simply rub your ink over the stenciled modeling paste, sprinkle with embossing powder and heat set. 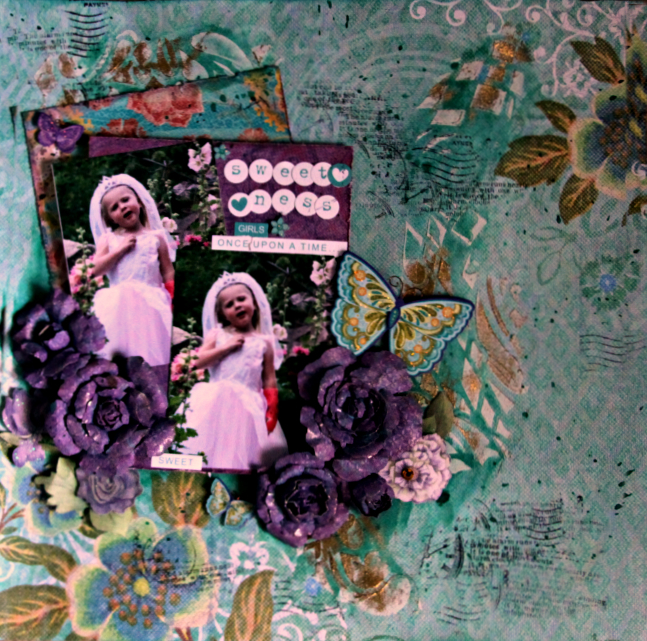 To finish off your layout simply add your photo mats, photo and embellishments. 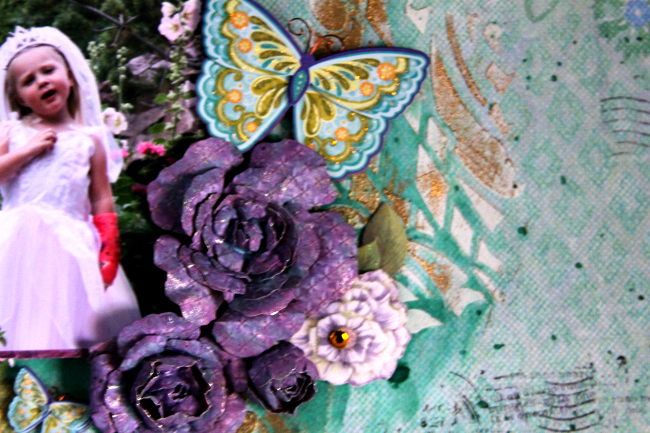 I like to add a little of my favorite mist using a paint brush and applying it to the stenciled areas to give it a little more dimension and color.